A five-pack set of the Rudolph kit, the ever-popular Xmas special! 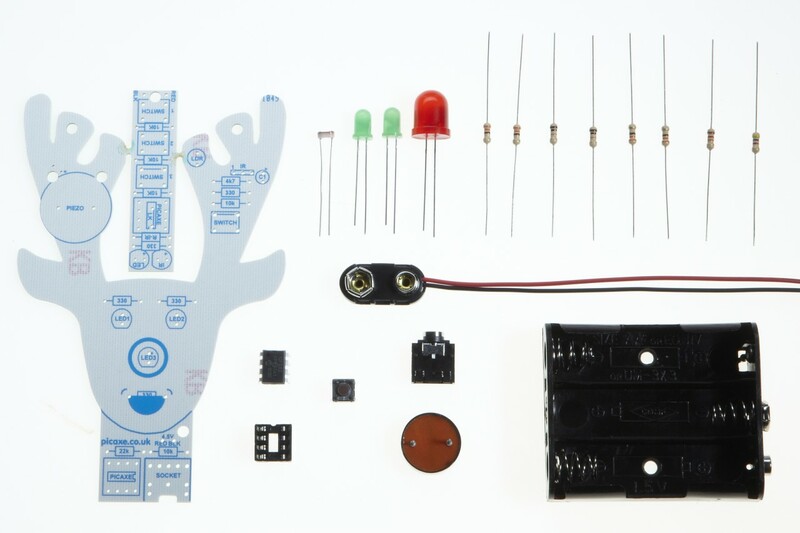 This project in an ideal introduction to electronics and first PICAXE project, using an 8-pin microcontroller to create a programmable interactive Christmas decoration with green LED 'eyes', a piezo sounder 'voice' that can play Christmas tunes and of course a large red flashing 'LED' nose. 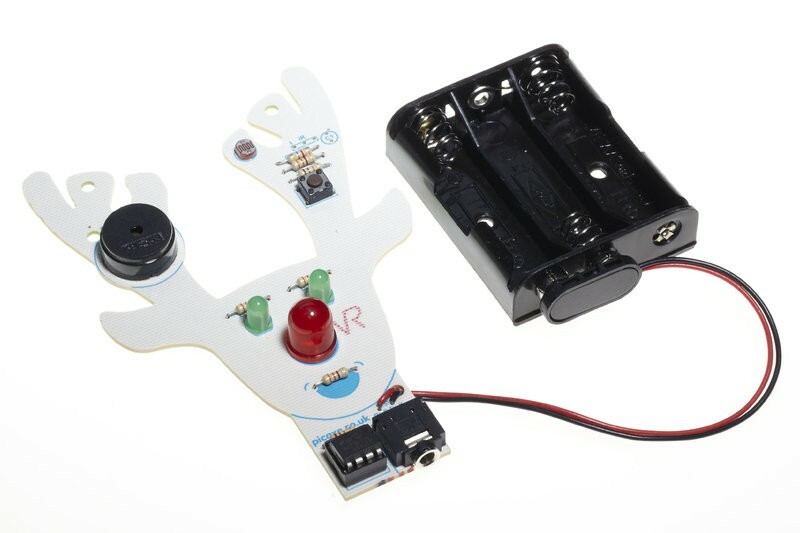 Rudolph can be programmed to react to touch (via a push switch) and light (via a miniature LDR light sensor) and play a tune of your choice (naturally 'Rudolph the Rednosed Reindeer' is always a popular choice!). Each kit Includes PCB and all electronic components, including a PICAXE-08M2 chip. Requires simple soldering.